By viewing, accessing, or otherwise interacting with any part of this website, you agree to our terms and conditions. 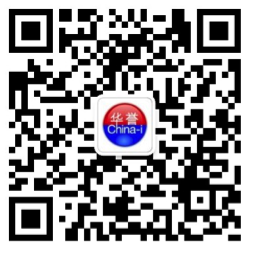 All content at China-i.org, including logos, design, and software, is copyright as the intellectual property of China-i. It is intended for personal use and may not be reproduced, distributed, transmitted, displayed, published, broadcast, or otherwise disseminated without express written consent from China-i. “Personal use” means we encourage you to read our articles, download them, even print them — but please keep it to a single copy per article. Photocopying, however, violates copyright law and is strictly prohibited. Other media outlets, publications, and individuals are welcome to cite our articles without obtaining permission, provided we are credited by name, and anyone is of course free (and encouraged) to link to our articles or share them on social media with no permission required. If you’d like to use our content in some way that is not expressly stipulated here, please just send us an email at beijing@china-i.org and we’ll get back to you as soon as possible. You may occasionally see third-party advertisements displayed on our site. Please be aware that the presence of these advertisements on our site does not mean that we in any way endorse them or are familiar with or responsible for their content. Each advertiser is solely responsible for the content of its ads, which may or may not be forthright and accurate. We occasionally revise and update our terms and conditions. By accessing our site, you agree to the terms of service as they exist at that time, so we recommend that users consult this page periodically to re-familiarize themselves with them.